Lol you noobs, this is so old. 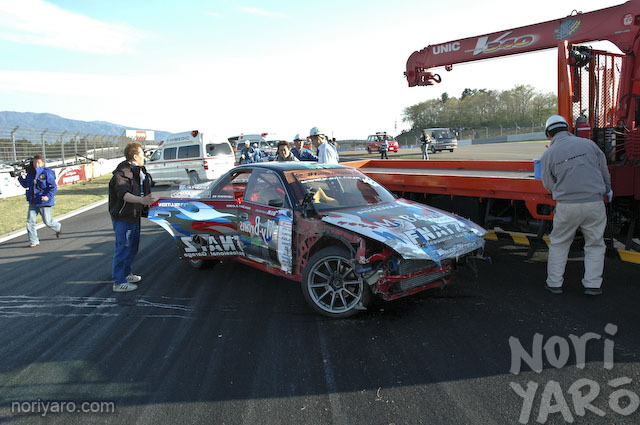 Saito crashed into Kawabata. They both were pretty messed up, Kawabata got it worse. it was a complete accident. 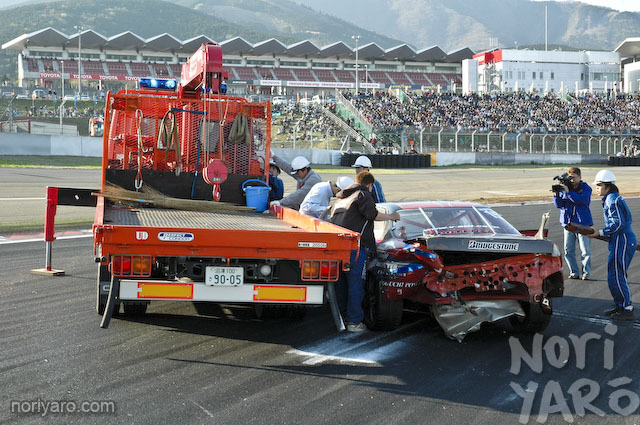 saito washed out and under steered straight into kawabata. saito was ok however kawabata only suffered from whiplash. it happened after 2 sudden deaths! This crash is horrible! 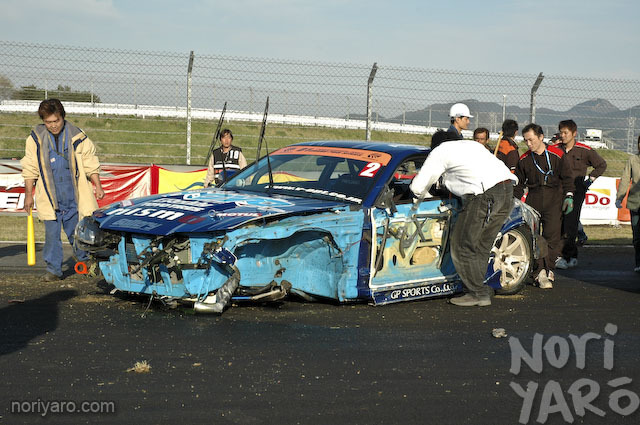 Two nice cars destroyed! people hurt! Boo! Wow I didn’t realize you were so close to the action. That crash was terrible. 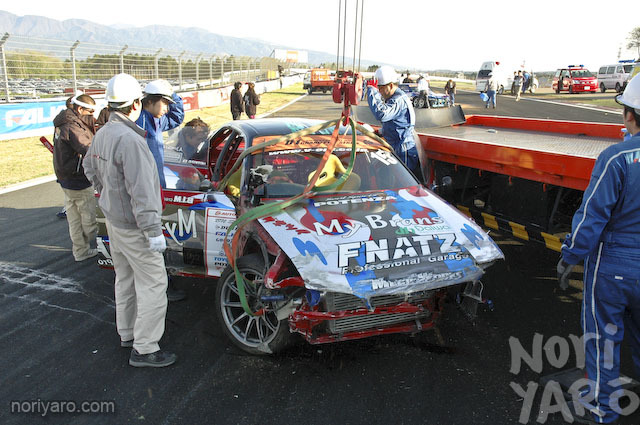 It shows how well prepared D1GP cars are when it comes to safety however. 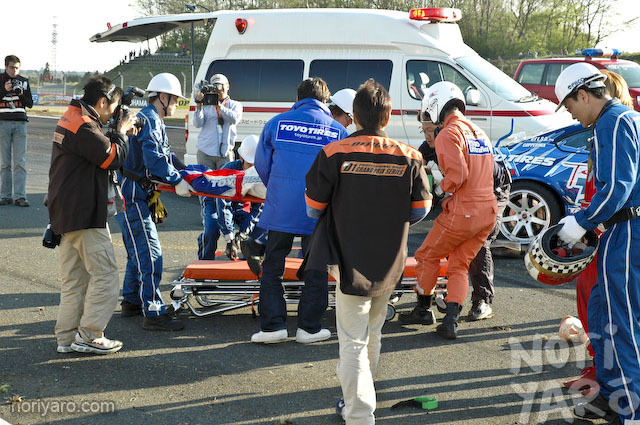 Both drivers we’re relatively uninjured, that says a lot considering how horrific that crash was. If you watch the Option video, you can also see a photographer narrowly escape being injured as well. If you guys need a quick explanation, on his follow lap against Kawabata, Saito clipped too much on the inside of the 300R corner and ended up straightening out at speed. 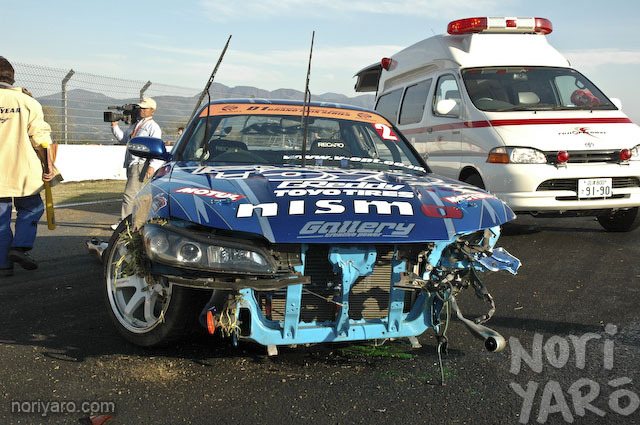 His trajectory had him shoot into Kawabata and they ended up slamming into the wall at 100+mph.